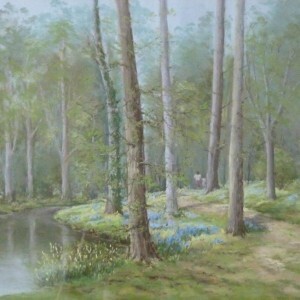 Margaret started painting as a hobby in 1971 and has become an established artist and acclaimed miniaturist. Norfolk born and bred she specialises in East Anglian Landscapes working in oils ,pastels and water colours for which the preparatory work is done on location. Margaret has had several exhibitions and her work is in collections both in this country and abroad. In 1986 she was elected an Associate of the Royal Miniature Society. She has also exhibited miniatures at the Medici Gallery in London and in several other Cities in the UK.